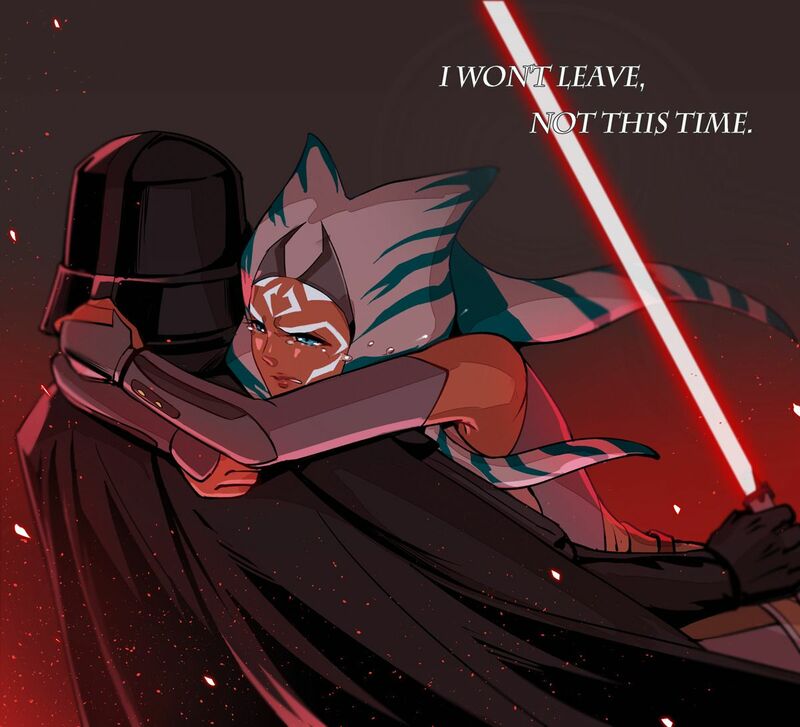 Then Vader stabs her. Always thought she shouldn't exist, and after wiping out a room full of children I don't think she would get through to him. Different times, different Vader. In the end of ROTS Vader wasn't full born until Padme's death and his Mustafar's lava bath. Basically he killed kid's as a sacrifice to save Padme (in his delusional mind). As for Asoka, she was always on his side, they were kindred spirits, and have special bond together, and I do believe, that she was only good thing left from his past. exactly my thoughts! That's why Obi Wan looses his fight with Vader, because Vader in ANH was cunning and patient, and learn, in a hard way to take actions only before thinking it through. Same way Luke lost Vader in ESB, Luke was arrogant and impatient.